Are you struggling to keep up to date with the latest Facebook changes? Are you conducting activities that are against Facebook’s policies? It isn’t easy to keep up with all of Facebook’s updates. Here are 5 ways marketers can stay up to date on Facebook updates and policy changes. Just like businesses keep their Facebook Pages updated with the latest announcements from their company, Facebook also keeps their Pages updated to inform their users about the latest changes and announcements. In particular, Facebook for Business, Facebook for Privacy and the Facebook blog often post updates when there is a change to their guidelines. Facebook for Business takes you step by step to create a business Page that is effective but also follows their guidelines. Facebook for Business Page to learn how to reach the right audience. The Facebook and Privacy Page post an update every time they revise a guideline or policy. In addition, they post tips every week to make sure people are informed about some of the changes that they made previously. Following this Page will allow you to stay up to date when there is a new announcement and also stay informed about older policies. 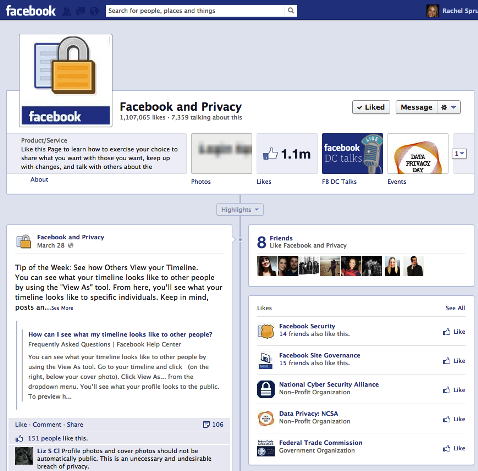 Facebook and Privacy Page, how to exercise your choice to share what you want. 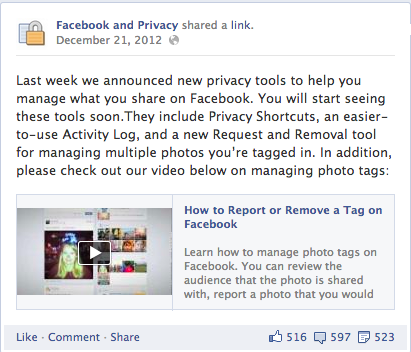 Here's an example of a Facebook and Privacy update. 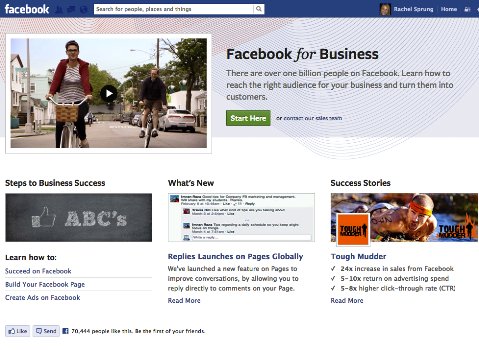 Finally, you can find updates on the Facebook blog. 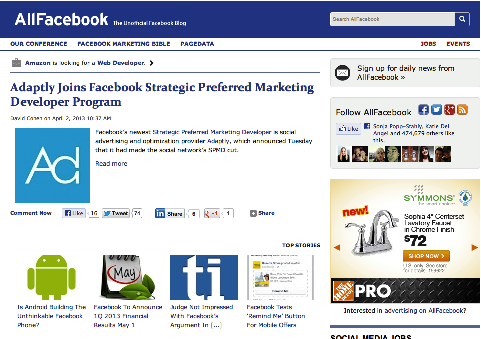 You can add the Facebook blog to your RSS feed so you receive a notification every time there is a new post. This can help you gather real-time information to make sure your presence online is always relevant. Facebook blog where you can find out what's happening behind the scenes at Facebook. Technology journalists jump at the news of a Facebook update. One of the best ways that we as marketers can stay updated on this topic is to follow technology journalists or even the Facebook tag on websites like TechCrunch or Mashable. To find the tag, scroll to the bottom of an article and you will see at least one tag on the article. 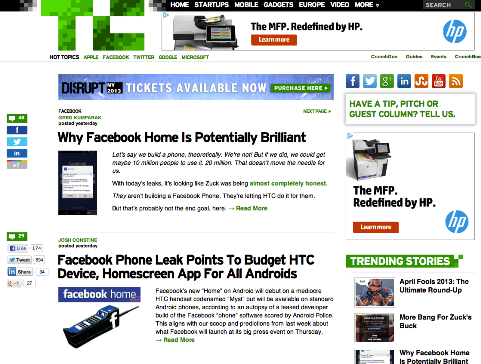 To find all Facebook articles on TechCrunch, you can go here. This will allow you to quickly and easily find all of the latest updates to Facebook in one place. The Facebook tag on TechCrunch. A hack to get Facebook updates as soon as they happen is to set up a Google Alert with the term “Facebook Privacy.” That will send an email right to your inbox with any articles that are written about updates to Facebook guidelines or new privacy rules. And you can be sure that there will be a ton of articles written whenever Facebook updates anything. 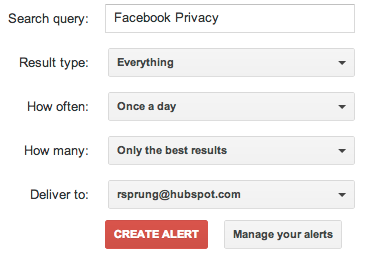 Once you create your Google Alert, type in “Facebook Privacy” as your search query. You can choose what type of results you want, whether its news, blog articles, videos, discussions, books or everything. You can choose the frequency you wish to receive these updates and the number of updates you would like. Finally, you can insert your email address to let them know where you want the results delivered. Facebook Privacy Google Alert setup. After that is set up, you will receive emails that look like the image below. They will separate your information by the type of result, allowing you to be instantly notified when there is something important to know about Facebook. 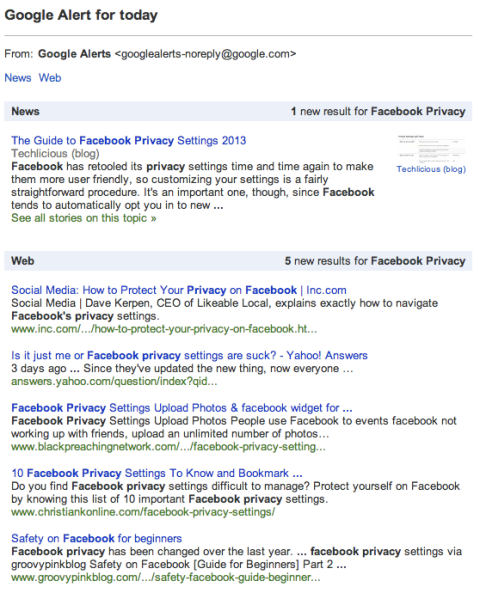 Facebook Privacy Google Alert Preview. 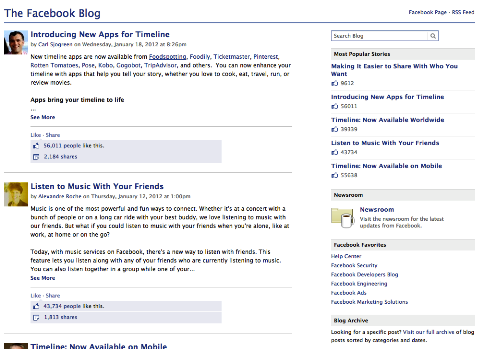 AllFacebook is the unofficial Facebook blog that can be a great resource for anything new that is posted about Facebook. They consistently update their website with new information on Facebook, whether it be news about their guidelines and privacy issues or just general updates that marketers should know about. In addition, they host an annual conference called the AllFacebook Marketing Conference in San Francisco where attendees can learn even more about marketing with Facebook. 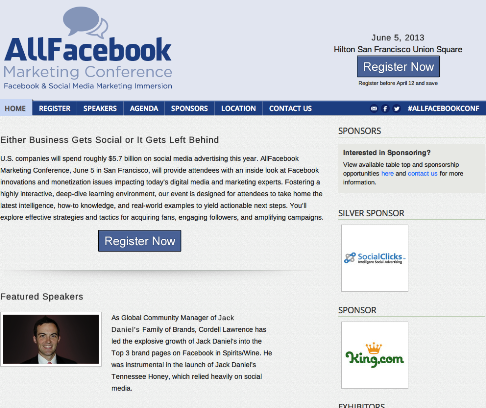 AllFacebook Marketing Conference coming in June 2013. In addition to the blog articles you can read and conferences you can attend to learn more about Facebook updates, there are many thought leaders who can be great resources to learn everything you need to know to market on Facebook. People like Mari Smith, Andrea Vahl and Pete Cashmore are great resources to follow on Twitter and stay updated on Facebook news. When there is something that marketers need to know, you can be sure they will be discussing it and sharing their knowledge on the subject. You can also read Social Media Examiner’s This Week in Social Media articles published every Saturday to stay current on the latest Facebook updates and other social media news. By staying up to date on any announcements and blog posts that are written on Facebook marketing, you will be able to create relevant and effective campaigns on Facebook and take advantage of all that Facebook has to offer. With the constant changes to Facebook policies, it can be a scary task to market on Facebook. However, don’t hesitate as Facebook is a great way to generate leads for your business and show off your company or brand. What do you think? What other ways have you stayed up to date with new Facebook policies? Leave your questions and comments in the box below.